Dance is a gift that keeps on giving, but like many of the finest gifts, it comes with a hefty price tag. There is the ever-present, seemingly never-ending uphill battle to procure funds to support your creative endeavors; but when you choose to be part of the professional performing arts community, there is also the challenge of ensuring that the work that you present on stage is shared with as many audience members as you can reach. However, financial limitations often dictate that a dance concert is limited to a one-night-only performance. The hundreds of hours of rehearsal and creation, the time and energy spent designing the sound score, lights and costumes and the muscle behind the company’s administration all lead to a few magical hours in a theater… and then what? Well, usually you start all over again, but if you happen to be lucky enough and work hard enough, you might just get another chance to dance the program one more time. If you missed Giordano Dance Chicago’s Fall Series at the Harris Theater back in October, have no fear; the company is doing an encore performance of their Live in the Momentum program Saturday, February 2 at the North Shore Center for the Performing Arts. For the last 56 years, Giordano has worked to preserve and invigorate the legacy of jazz dance they have so carefully and lovingly built. As the company continues to grow, so does their network of support, including those whose task it is to curate the programs that a theater presents. Often people miss performances because of other conflicts in their lives and don’t always get a second chance to see a great program like this – or in my case, get to see it again! Kristi: Before moving its base of operations into the city, Giordano Dance Chicago spent a number of years based north of Chicago. Can you tell us about how you developed your relationship with GDC Artistic Director Nan Giordano and Executive Director Michael McStraw, and how you came to include the company in NSCPA’s programming this season? Michael: The Giordano company has its roots in Evanston, which is right next door to Skokie. The company has performed at the North Shore Center before, but it has been over a decade. During those years, I have had the opportunity to meet and get to know many of the leaders in the Chicago dance community through various events and meetings of Audience Architects/See Chicago Dance. Nan and Michael are also always at the Arts Midwest Conference every year and we would see each other and talk in a way that our busy working lives in Chicago don’t always allow. We all knew that Giordano needed to come back to the North Shore Center and after a couple of years of trying to match calendars we finally found a date this year! I am also happy that we are getting a reprise of the Live in the Momentum program that was performed in downtown Chicago last fall. I was in the audience for that and it was deservedly so well received. Often people miss performances because of other conflicts in their lives and don’t always get a second chance to see a great program like this – or in my case, get to see it again! But we all get that chance on Saturday February 2. …we have often been the site for tapings of PBS arts specials and are a favorite place for Chicago dance companies to tech new works and conduct video and photo shoots. It is important to me and the leadership of the North Shore Center that we include a variety of performing arts genres in each season, so I always make sure the tremendous talent among Chicago dance companies is represented. The companies may vary from season to season, but there is a special energy that is in the building when we have this local talent that is very different from the touring artists that just pass through. We want the North Shore Center to be a home for all the great artistic work that is happening in Chicago. The North Shore Center is a great space for dance. One of the best in the Chicago area in my (admittedly biased) opinion. The stage is 52 feet wide with ample wing space and it’s 38 feet deep, so it can accommodate all the creativity that choreographers can come up with. Meanwhile, the auditorium is an intimate 867 seats with great acoustics and sight lines, which makes it perfect for audiences. Because of this we have often been the site for tapings of PBS arts specials and are a favorite place for Chicago dance companies to tech new works and conduct video and photo shoots. We also have the advantage of being close to the highway and transit and free parking, which is great for both audiences and dancers. There is a real skill to picking the right mix of pieces and putting them in the right order, and Nan always does this beautifully. Kristi: Concert dance tends to be something that intimidates new or potential audience members. Some are afraid they will not understand the work, while others think that dance is simply something they would not be interested in. For those new and potential audience members, what is it about Giordano Dance Chicago that makes it the perfect introduction to the world of concert dance? Michael: I think jazz dance is accessible to more people than modern or ballet. I am not sure why; perhaps it is that the music selected by choreographers is often familiar providing audiences an initial way to connect with the work. For a multi-purpose performing arts center like the North Shore Center where so many different things end up on stage over the course of a year, that is important. I think it increases the odds someone might take a chance on a dance performance who has not attended one before. A perfect example is Ray Leeper’s “SOUL” with music by Gladys Knight, Al Green and Tina Turner. It was amazing in its premiere last fall and I cannot wait to see it again. Then there is “Loose Cannon” by Jon Lehrer with the music of Winton Marsalis, who has actually appeared on the North Shore Center stage! The other thing, which is true for all dance, is that it is about painting pictures. Choreographers, dancers, and lighting and costume designers all come together to paint beautiful, exciting pictures. I was a visual arts person from the time I was a child through college before I migrated to the performing arts world. That has always been why I like dance, and Giordano works with the best choreographers and designers and Nan’s careful eye brings it all together. There is a real skill to picking the right mix of pieces and putting them in the right order, and Nan always does this beautifully. I hope people will come see Giordano Dance Chicago here at the North Shore Center, then become a fan like I am and see the company again wherever they are performing. Giordano Dance Chicago takes the stage with a reprise of Live in the Momentum at the North Shore Center for the Arts (9501 Skokie Blvd Skokie, IL 60077). Tickets are available by phoning the box office at (847) 673-6300 or online at northshorecenter.org. The evening’s program includes five works by choreographers including So You Think You Can Dance’s Ray Leeper, former Hubbard Street Dancer Mark Swanhart, Peter Chu, and crowd favorites by Jon Lehrer and Autumn Eckman. 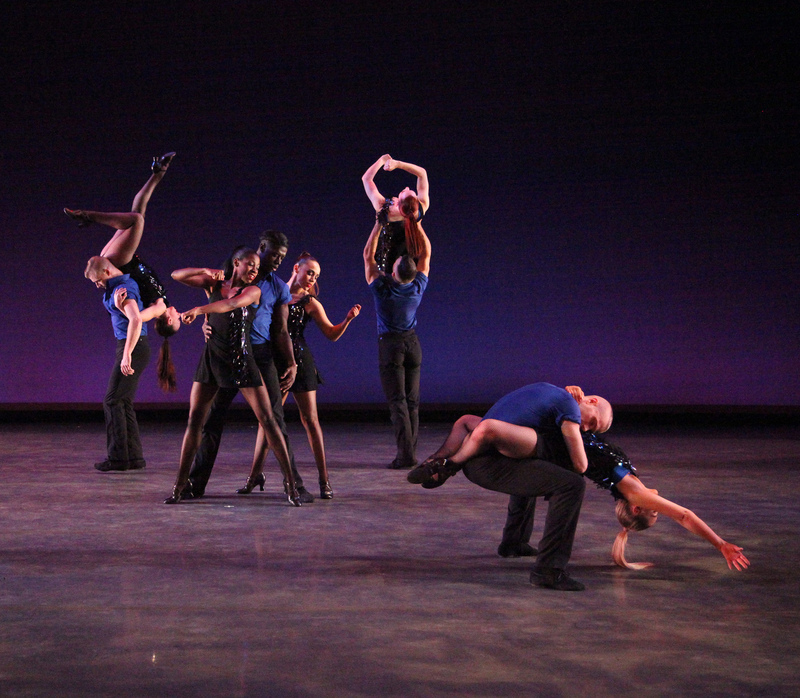 For more information on the company and its artists, visit giordanodance.org.